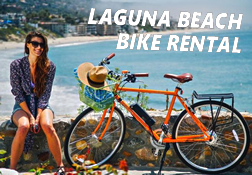 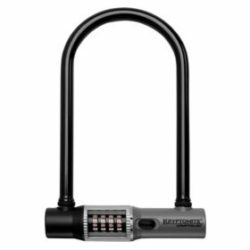 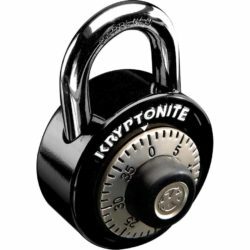 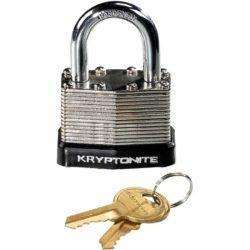 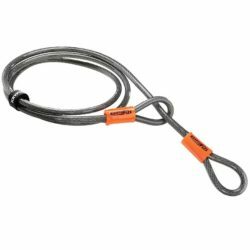 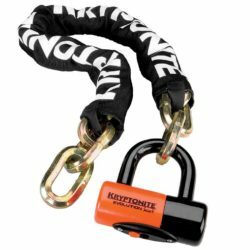 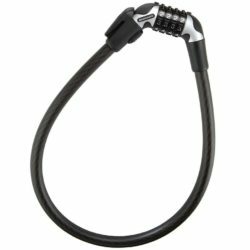 This Kryptonite bike lock is made of 9mm four-sided chain links made of 3t manganese steel, a high security disc-style cylinder that is pick and drill resistant, a new patent-pending pin-less link design to secure chain to hardened deadbolt (offers no weak link in the chain due to extensive holding power of the link itself against attacks), a Finish Line Dry Teflon Lube already coated inside the lock to provide additional durability and protection, and a patent pending integrated Kryptolok series 2 lock head with “talon” deadbolt. 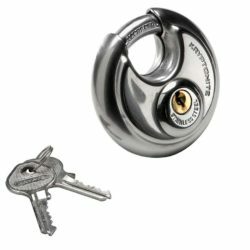 Hardened deadbolt design provides additional protection against leverage attacks. 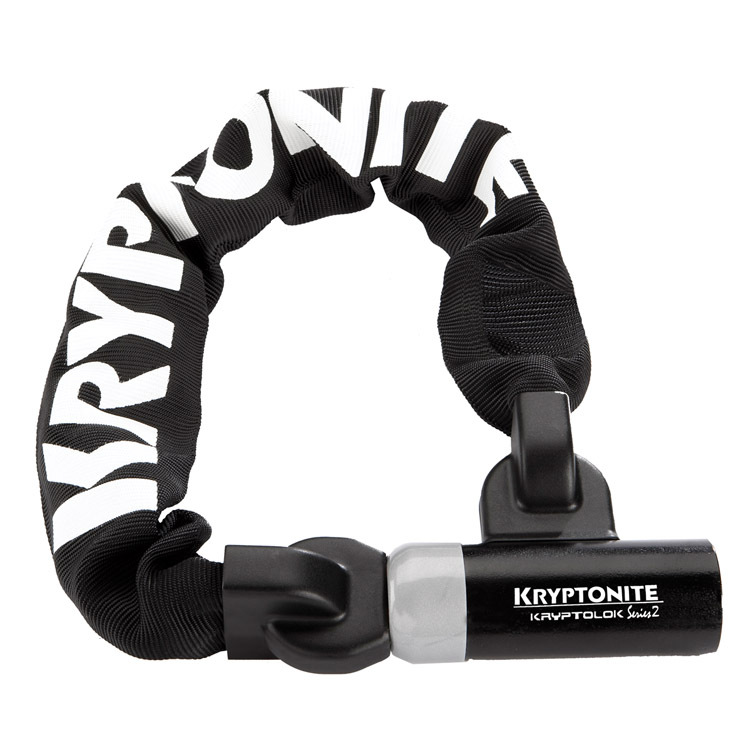 Weather-resistant nylon sleeve prevents scratches to painted finishes. 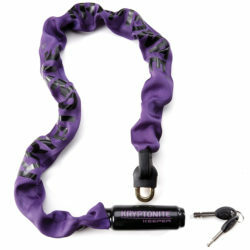 Includes 2 new “I” keys.